Personas are an oft used and highly touted communication and usability tool. They can help summarize what you know about the user, highlight pain points, and point out potential opportunities to customize your products for your users. In sum, they keep product development focused on your target market, rather than the world at large. Unfortunately, while they are super useful, personas can be misleading. Provisional personas, in particular, can be over-utilized and under-validated. Today we’re going to discuss the proper way to construct provisional personas, their most useful attributes, and the biggest challenges that you face when relying on them. Traditional personas are big endeavors. They take a lot of time, research, effort, and dedication to validate. Unfortunately, many smaller organizations just don’t have the resources to get this done, but they still want to prioritize the usability of their products. That’s why provisional personas can be so useful. They take a lot less time to create, and can still offer some of the same benefits. However, there’s always a tradeoff. Getting something finished quickly means, of course, that it isn’t done correctly. Or at least without as much accuracy. The problem with provisional personas, in particular, lies in how they’re created. They represent the ideas of management. The executives in an organization engage in brainstorming sessions, practice empathy mapping, and examine what they think is important to their users. This obviously isn’t ideal. Executives are often insulated from user needs and it can be hard for them to really see things from a user’s point of view. That’s why it’s so important to get someone at the table who’s championing the UX cause. Often that’s a product development lead, but more and more UX is getting its own department, or outside consultant to bring that perspective to the table. UX professionals need to be able to express these concerns, while still explaining why creating personas and running them through scenarios is a worthwhile practice. The tendency should never be to rely on them, but rather treat them as what they are: a framework to get your team in a user-focused mentality. This is when the issue of validation should be brought up. The provisional personas are only a first step. When creating them make sure to include as much research as you have readily available. Even if it’s only a little. Anything you can find out quickly and easily about your user base is infinitely more effective than speculation amongst marketing, management, customer service, and product development professionals. And including such insights will make the job of validating your personas later much easier. Whatever you can do to get outside opinions from people you’d recognizes as potential users will help give your personas some legitimacy. Once you’re able to create workable personas, it’s vital you begin authenticating them immediately. Once they’re verified, you can begin revising them on an ongoing basis. That way you can refer back to them down the line with ever increasing degrees of confidence. 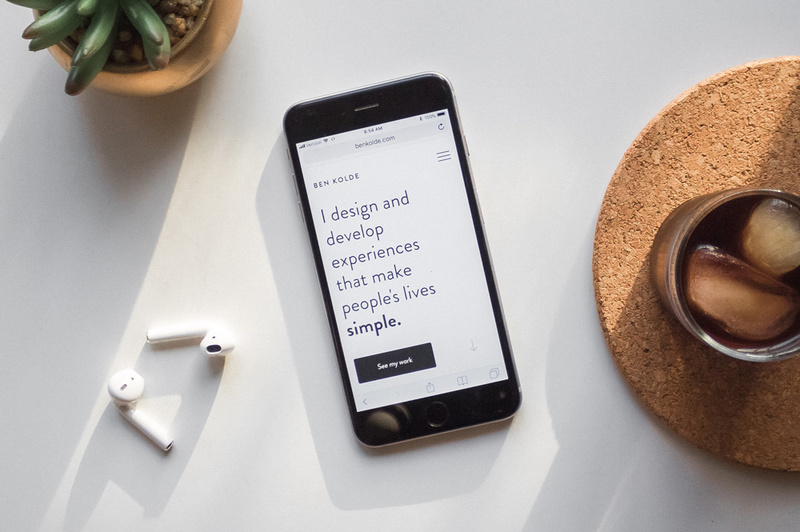 The ideal is to start with a provisional persona and end up with a user-research validated persona that you can feel comfortable relying on when making decisions about product design. But perhaps you’re not all that familiar with how to form a provisional persona in the first place. If that’s the case, it’ll certainly be hard to get to that authentication step. Let’s rewind a bit and discuss the best methods of building provisional personas. Begin by gathering your team into a room to have a persona creation workshop. Provide an agenda ahead of time to describe the process and let everyone know the purpose of the meeting. Then, ask some questions. Who are your users? What are the demographics they belong to? Who do you think they’ll be? How can they be segmented? Ask each team member to make a list of all the possible categories of people who might be a user of your product. Have them do this individually then compare notes as a team. The most popular answers will be your base categories. Profession, age, gender, socioeconomic status, etc. e. Bob Smith the electronic engineer; Mary Sue the comic book artist; etc. Assign attributes to each persona. Use multicolored post-it notes and separate the attributes into the following categories. What does this user need from the product in order for them to feel satisfied? Be specific. Use a different color post-it for each category of attribute. Once you’ve written out your attributes assign them to each persona as you think they would apply to a user within that category. This last step personifies your personas, making them feel like real people and representing their interests/goals. But aim to keep them less…maudlin. Biographical info-name age gender location, income, etc. Once you’ve got your personas, it’s time to run them through scenarios. These are short narratives that describe how the personas interact with your products in order to achieve their goals. Let’s say Bob Smith wants to break out of whiskey driven shopaholic rut and decides to have some friends over. Assume also that your product is a party planning application. How is Bob going to interact with your application in order to surround himself with loved ones and escape his booze-infused depression? What pain points will he encounter? Be very specific while running these scenarios and determine optimum user paths as well as points of user friction. These scenarios should describe what the personas do and why the do it. Tell a rich and interesting story about this persona and his/her interactions with your product. Doing so will help you understand the context in which your user interactions will take place. Most importantly, if you do choose to use provisional personas, remember that they MUST be validated by primary research as soon as possible. Without validation, all your hard work is nothing more than wild speculation. A helpful thought experiment to be sure, but still not nearly as effective when determining business initiatives as usability testing data.